MDaemon Hosted Email for Resellers and Customers announced at HostingCon India 2014. Grapevine, Texas (USA) – December 11, 2014 – Representatives from Alt-N Technologies and CloudMailStore, the first service provider in India to offer hosted MDaemon email, are participating in Asia’s largest conference for the Internet Infrastructure Industry to introduce hosted email services for India’s SME business customers and resellers. MDaemon Private Cloud software enables service providers to offer hosted email accounts of Alt-N’s popular email software, the MDaemon Messaging Server, which has been sold in India for nearly two decades. Alt-N Technologies and CloudMailStore will be at booth #S9 at HostingCon India, which is being held at the National Center of Performing Arts in Mumbai, December 12-13. More information about MDaemon Private Cloud can be found at the CloudMailStore website, www.cloudmailstore.com/email/cloud-mdaemon/. Additional Alt-N products can be found on its website, www.altn.com. Alt-N Technologies develops affordable and secure messaging, collaboration, and security software designed for, and trusted by, small-to-medium businesses in over 90 countries and 25 languages worldwide. 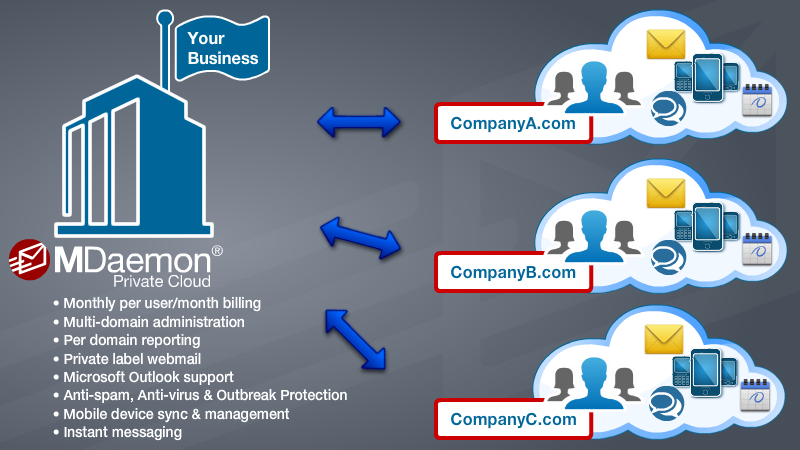 The company’s flagship solutions, the MDaemon Messaging Server and SecurityGateway for Email Servers, include the latest email security technologies and require minimal support and administration to operate and maintain. The company uses a network of global distributors and resellers for the sales and support of its products. CloudMailStore(CMS) is a leading provider of E-mail solutions. We currently manage over 100,000 mailboxes for various hosters, resellers and web development agencies. We are the first Alt-N Partner to offer a 24x7x365 environment of MDaemon hosted mailboxes. We offer mail server software, management and migration services. No long term contracts required. All our services are billed monthly.